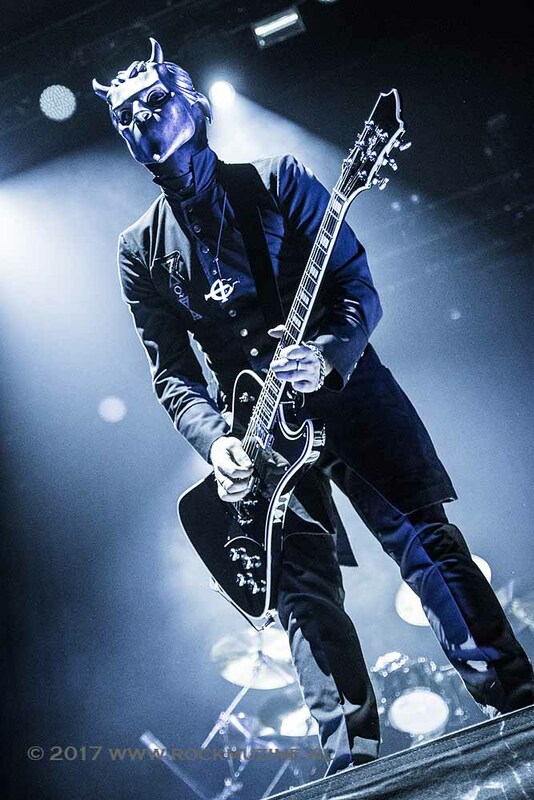 Nowadays it’s becoming harder and harder to impress fans with a show or a band’s image. 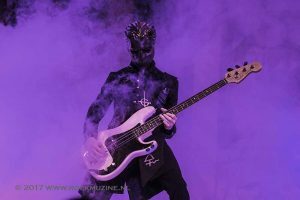 Swedes from Ghost seem to be doing nothing new by wearing masks and concealing their identities. Yet there is something captivating about them, something that wins the fans. 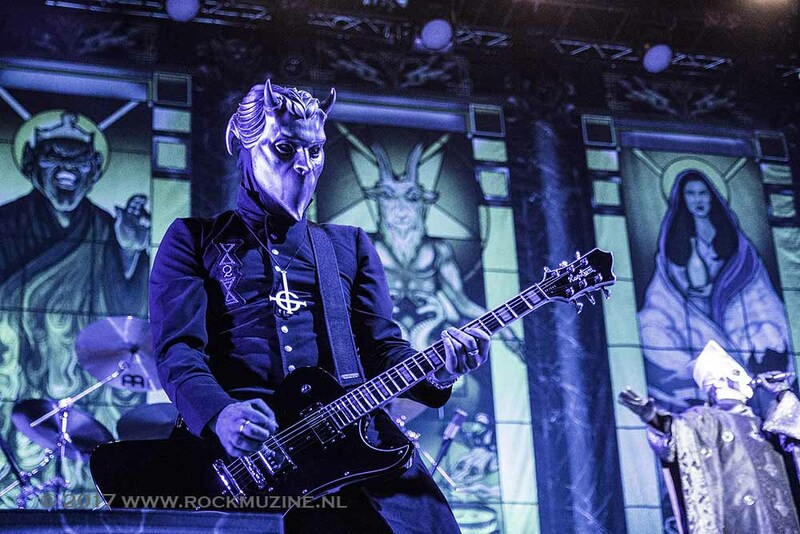 That’s what Rockmuzine wanted to find out on 6th of April at AFAS Live in Amsterdam. 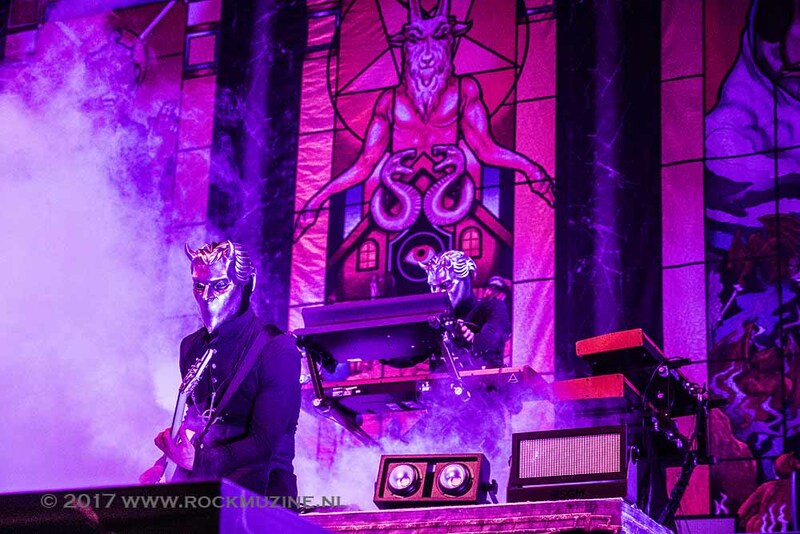 The night promised to deliver a live show of enormous intensity and bless the sold out arena with the holy presence of Papa Emeritus and his Nameless Ghouls. The night opener, Zombi, a duo playing some sort of dark wave/post-rock, wasn’t really accepted by the audience. A shame, as they performed a very decent set, maybe a bit unfitting to what was yet to come. 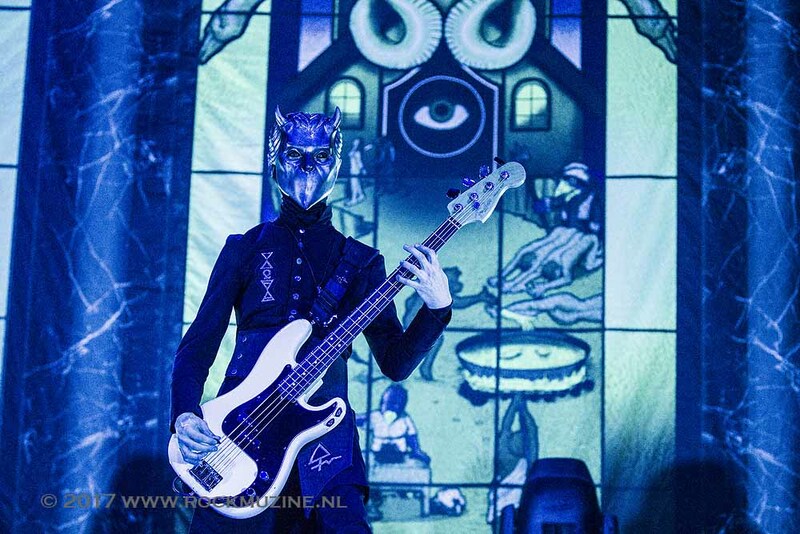 Soon the first signs of ‘ghostly’ presence appeared with the ritual of their instrument-covers removed being performed by masked members of the crew. First, the Nameless Ghouls, and then Papa himself made their way on stage and launched actively into the opening track, a song from their ‘Popestar’ EP, ‘Square Hammer’. In fact so actively, that one of the Nameless Ghouls first messed his guitar up and then managed to nearly fall off the stage during ‘From the Pinnacle to the Pit’. Once the instabilities were overcome, the band carried on with the show and started to deliver hitsingle after hitsingle. 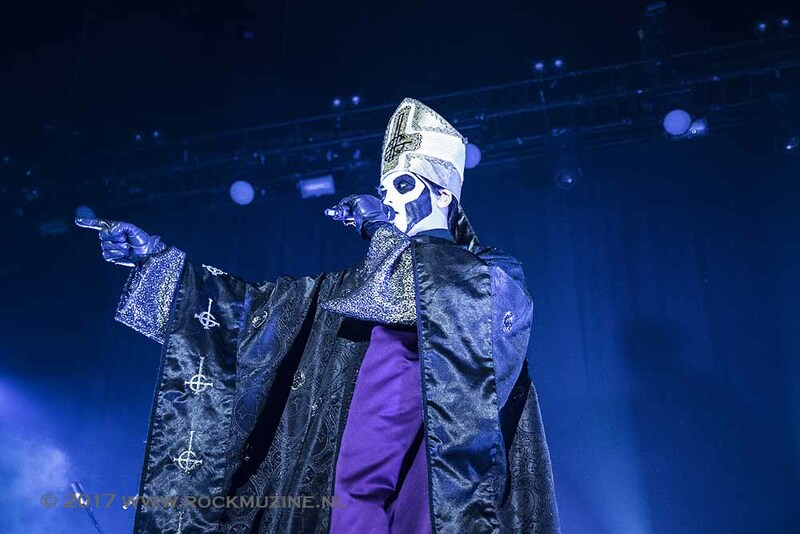 It was very noticeable how well Papa Emeritus controlled the crowd from the stage, constantly interacting, joking and making fun of himself, wondering whether people of Amsterdam drink blood and eat flesh. 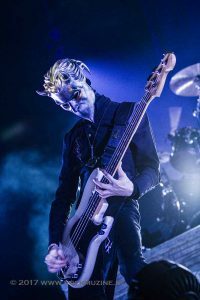 The band carried on performing what can probably be considered the most balanced setlist of theirs. 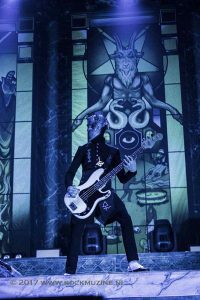 The audience was quite happy to sing along to tracks like ‘Body and Blood’, ‘Cirice’ and ‘Devil Church’. The culmination of the night was nearing and after playing peaceful ballad ‘He Is’, the band went for a kill. The emotions ran very high while contrasting ’Absolution’ and ‘Mummy Dust’ were performed and right until the closing song, ‘Monstrance Clock’, to which even the laziest fan in the audience was singing along as crazy. 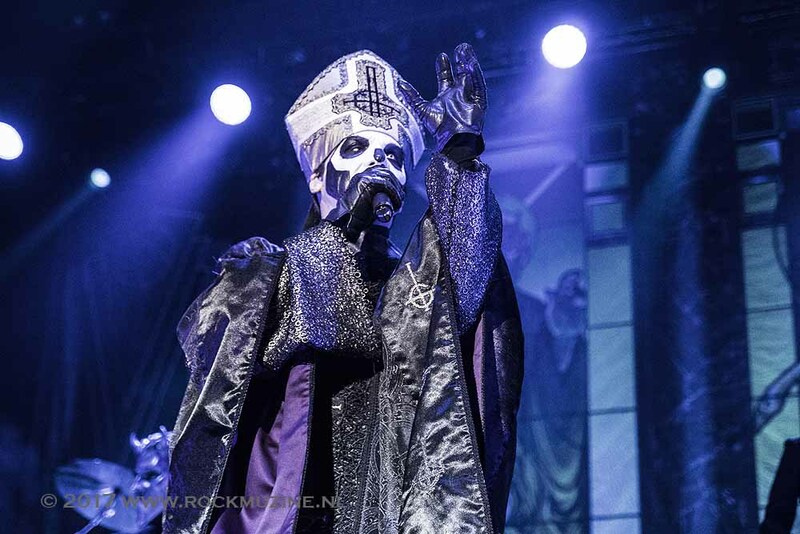 Hats off, Ghost delivered a great show which couldn’t and shouldn’t have been tainted by uneasy times of all legal battles the band is going through. Fingers crossed, we can hope this was not the last tour of this fascinating band.